As many of us have noticed since 2014, the Patagonia vests have been making a more consistent appearance in the financial and consulting sectors of pretty much every major US city. If you live in Dallas, Boston, Seattle, or especially New York, chances are you’ve seen a Brad or Chad rocking a light blue Brooks Brothers button-down, khaki Bonobos or J.Crew slacks, and a gray, black, or blue Patagonia Synchilla Fleece vest. They are freaking everywhere! Every Bill, Todd, Tyler, P.J., Tobin, and Brent with a desk job that includes numbers and Powerpoints making over 70K seems to be sporting this business casual F-U to individuality trend. The reasoning behind why young guys with superfluous amounts of money are only shelling out $79 for a rather underwhelming vest, is beyond me. The trend was likely started by the VC execs attempting to “relate” to the hoodie culture of millennial CEOs in Silicon Valley, and is now being highlighted in shows like Billions. This “Midtown Uniform” has become so cliche and at this point satirical, that buying into the trend is downright stereotyping yourself. Just check out this insta dedicated to the trend. The need to fit in is strong and instinctual, but fitting in doesn’t have to mean eliminating all variants of self-expression. But what can a poor financial analyst or associate do to be different, but not too different? I have you covered gents. Here are some suggestions to still be a a part of the pack, but with a little personality. For the North Face enthusiast in you. 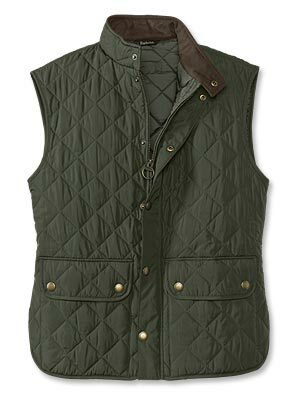 It’s warm and just mildly less broy than the Patagonia vest, aka the sweet spot. A similar look with better quality and a reversible option for when it rains. A simple alternative that pulls you above the pack.